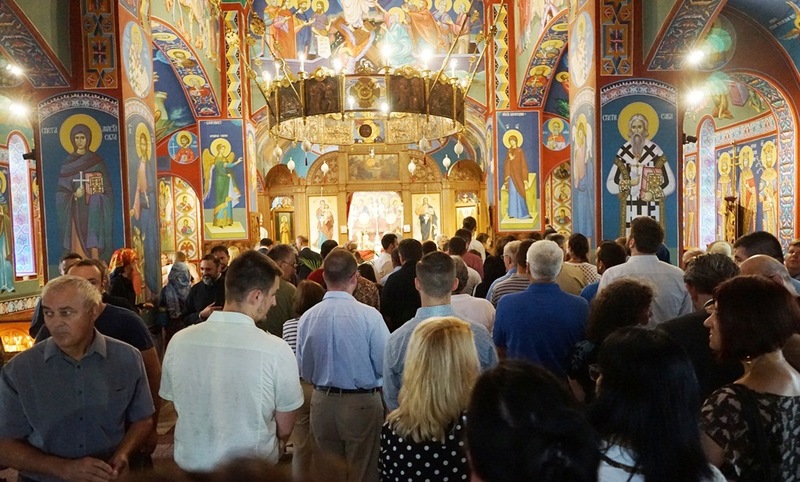 At the Serbian monastery of St. Sava in Libertyville, suburb of Chicago, the Saint Mardarije's Days were held in honor of the first Serbian bishop of America and Canada. Liturgy was held by Bishop Mitrophan of Canada and Midwestern Bishop Longin. During the celebration a suitable program was held at the organized banquet, and the guests were addressed by Vladimir Božović, the envoy of Aleksandar Vučić, the President of the Republic of Serbia, who on that occasion read the letter from the President. Vladimir Božović emphasized the importance and role of the Serbian Orthodox Church in Serbian Diaspora. He also pointed out the significance of Saint Mardarije, pointing out that he should be an example to every American citizen of Serbian origin on how to preserve the Serbian people, religion, language, culture and customs. "The Republic of Serbia is doing and will do a lot for her Diaspora, takes care of anyone who feels as a member of the Serbian people and invests efforts to preserve the Serbian identity. Our strength lies in unity, in help to each other with high awareness and responsibility for the preservation of Serbian identity ", related Mr. Božović from the letter. During his stay in Chicago, Vladimir Božović met with the representatives of the Diaspora and Serbian organizations. He was also a guest of the local Serbian Radio Chicago.